During the colonial period, when the main elected office in certain of the American colonies was the colonial governor, voters had to cover long distances to reach their polling locations. They often stayed overnight. Election Day became a happily celebrated secular holiday in Puritan New England, where celebrations of religious holidays were often quite thin. Public festivals, called “Election Day Drinkings” were held by major families and the governor’s own household. 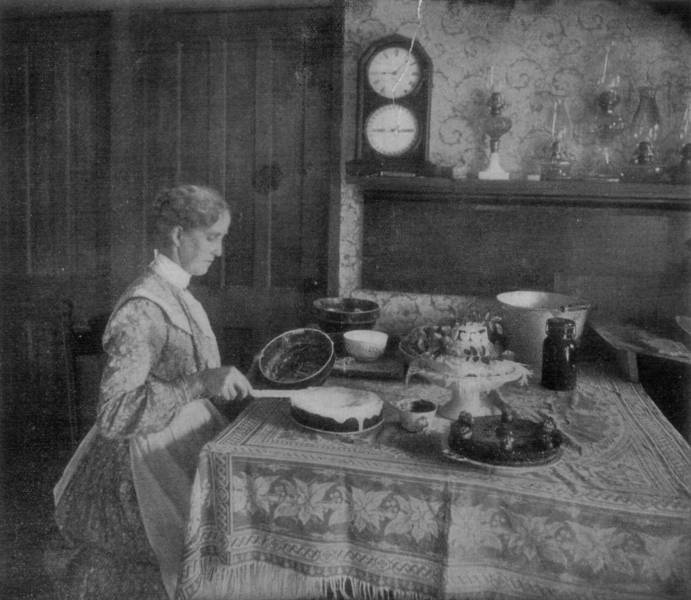 To feed tired and hungry crowds of dutiful citizens, townswomen began baking thick, fruit studded election cakes, large species of English fruitcakes. The first documented election cake was served in Hartford, Connecticut, at the colony’s expense (roughly £3). The first known recipe appears in Amelia Simmons’ American Cookery in 1796, the first cookbook for an American market–British cookbooks dominated up to this point (Simmons notably substitutes ingredients like maize for English oats). That recipe called for thirty quarts flour, 10 pound butter, 14 pound sugar, 12 pound raisins 3 dozen eggs and a quart of yeast. By the 1830s, the politicians of Hartford reportedly offered Election Cake only to men who voted a straight party ticket. By the end of the century, it largely was. You can locate your modern polling location here. The Culinary Institute of America offers one modern take on the Election Day recipe here. This entry was posted in Colonial Boston and tagged Boston Cooking-School Cook Book, Cookbook, Election Cake, Food, Hartford, Holidays, Massachusetts, politics, recipe. Bookmark the permalink.